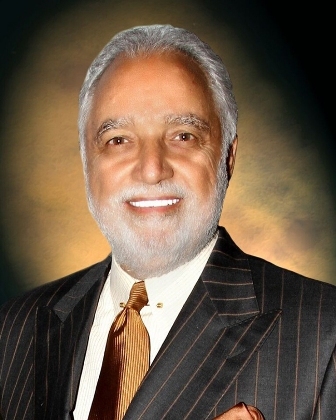 Danny Bakewell, Sr., founder and chairman of The Bakewell Company, one of the largest African American commercial real estate development groups in the western United States, will receive a California State University honorary Doctor of Humane Letters from California State University, Dominguez Hills (CSUDH) during its 2017 commencement. CSUDH will hold two college-based commencement ceremonies for its 4,500 graduating seniors on Friday, May 19. Bakewell will be awarded the honorary degree at the 9 a.m. ceremony for the College of Business Administration and Public Policy, and the College of Health, Human Services, and Nursing, where he will also provide the keynote address. Deborah Flint, CEO for Los Angeles World Airports, will provide the keynote address at the 4 p.m. ceremony for CSUDH’s College of Arts and Humanities, College of Education, and College of Natural and Behavioral Sciences. Honorary doctorates are given by the CSU Board of Trustees in the name of the California State University and in the name of the campus conferring them. Since the first CSU honorary degree was awarded to then-President John F. Kennedy in 1963, the 23 CSU campuses have awarded such honors to 502 distinguished individuals who have demonstrated excellence in areas that benefit humanity, CSU campuses, the state, nation and/or world. CSUDH has bestowed honorary doctorates to such renowned individuals as artist and social activist Forest Whitaker, former Secretary of Housing and Urban Development Henry Cisneros, radio commentator Tavis Smiley, and Boys Choir of Harlem founder Walter Turnball, along with notable leaders and business people in the South Bay of Los Angeles, including former Toyota Chairman Yukiyasu Togo and former Carson Mayor Gil Smith. Bakewell’s commitment to L.A.’s African American community began in the 1960s as a community organizer. In the 1970s he co-founded L.A.-based community development organization the Brotherhood Crusade. In his 35 years leading the organization, the Brotherhood Crusade drew to become one of the largest non-profit organizations in Southern California. It annually distributes more than $65 million in grants and technical support to local non-profits in the African American community of South Los Angeles. Bakewell is a three-time NAACP Image Award winner and a Southern Christian Leadership Martin Luther King, Jr Award recipient. He has been inducted into the International Civil Rights Walk of Fame, and has received numerous other awards, including JFK Profiles in Courage Award from the Democratic Party, the U.S. Congressional Black Caucus Adam Clayton Powell Award, and the Roy Wilkins Award. In 2015, CSUDH awarded Bakewell its Community Builder Award for his exemplary citizenship and contributions that have greatly impacted the region.